What is Surrender of Tenancy? If you intend to end a lease early, then you must know what is surrender of tenancy rights. Learn the important lease surrender facts here. Lease surrender definition: The tenant agrees to give up his or her renters legal rights and return possession of the property with the landlord's consent. 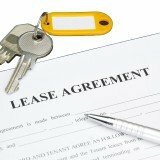 This terminates the lease agreement and ends the landlord tenant relationship between both parties. For a tenancy surrender to be effective, there has to be mutual consent - The landlord and tenant have to agree to it. If the lease involves more than one tenant, every tenant has to give consent as well. If the tenant backs out of the lease without the landlord's consent, the tenant will have to continue paying rent until the landlord is able find to a replacement tenant to relet the property. Similarly the landlord requires the tenant's permission - If the landlord attempts to chase the tenant off the property by cutting off essential services (electricity, water, gas, heating etc) or neglecting maintenance responsibilities, he or she will have to face severe penalties. Also known as an express tenancy surrender, this method of surrender involves using a written agreement - Click here for our lease termination agreement. Since mutual consent is required, both the landlord and tenant will have to sign on the agreement. Once the agreement has been signed, both parties will be released from any future obligations to each other. To make sure that your currency of lease goes smoothly, it's highly recommended to settle any outstanding payment and disputes first. The tenant should pay any remaining rent and bills owed to the landlord... and the landlord should return the security deposit to the landlord after making all appropriate deductions - Click here to learn how to make security deposit deductions. Also known as an implied tenancy surrender, this is lease surrender executed by actions and not words. A surrender of lease doesn't have to be done in writing (although we strongly recommend against it). In this case, the landlord and tenant will both take actions that signals their mutual intention to end the lease. The tenant will pay up all rent and payments owed to the landlord, remove his or her possessions from the property and return the keys to the landlord. On the other end, the landlord will accept the keys from the tenant, return the security deposit and advertise the property for new tenants. If there any subtenants on the property, they shall continue staying on the property under the same terms and conditions. The key difference is that the landlord (instead of the tenant) shall be directly responsible for the subtenants after the surrender.